PRICE REDUCTION! 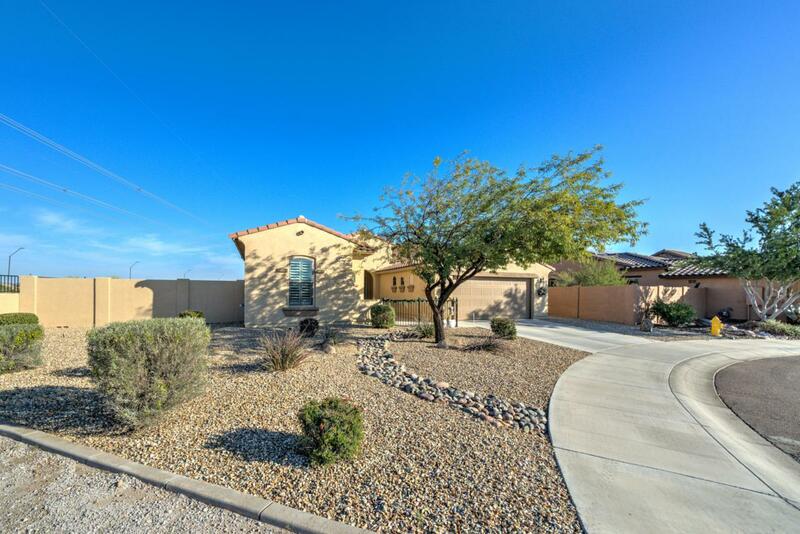 Estrella Complete Spec Home with spectacular mountain views from the fully landscaped backyard. 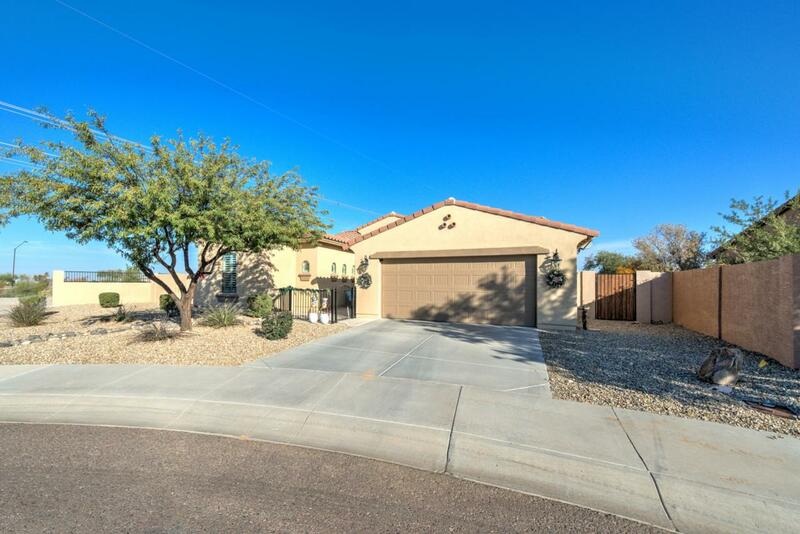 The home is next to 40 miles of walking, hiking, and biking trails. The backyard has an in-ground pool with water fall, a circular stone fire pit with semi-circle stone seating, and 31-foot 2-hole banked putting green. Buyers will enjoy the gourmet kitchen complete with granite countertops, 'staggered' cherry cabinets, stainless appliances, and Travertine Tile! The spacious master bedroom and second bedroom includes a walk in closet. 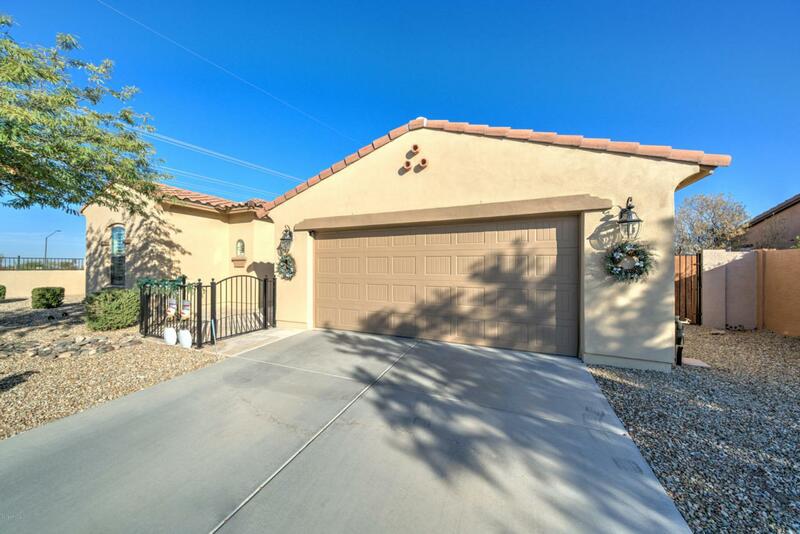 This home has 10-foot ceilings throughout with 8-foot interior and exterior doors. 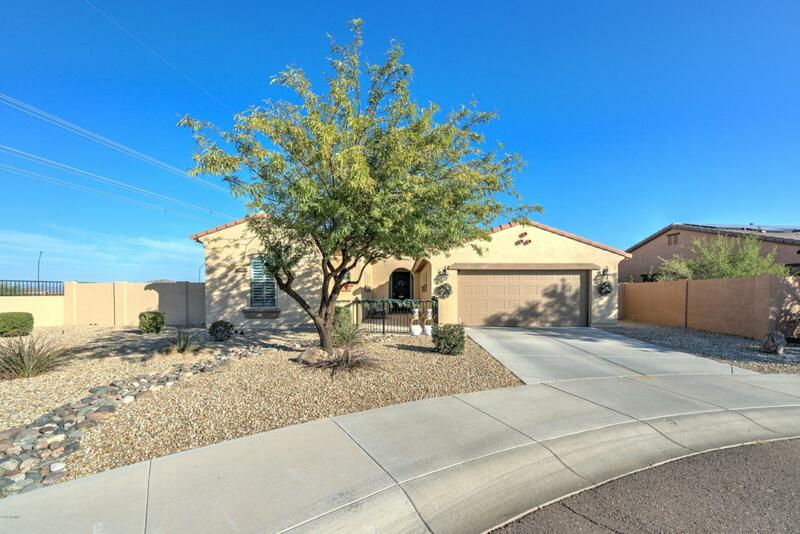 This home boasts four bedrooms, two bathrooms and den with double doors! Power lines will be raised in April 2019!